Eugene G. Campbell, age 80, of Mill Village, passed away Tuesday, November 17, 2015 at Marquette Hospice House in Meadville. Born January 4, 1935 in Union City, he was one of 14 children of the late Paul L. and Olive Irene Barber Campbell. He married Claudia L. Stone on February 22, 1957. Gene got his start with employment at Paul and Jim Skelton Farms in Edinboro and worked there until he established E.G. Campbell Trucking around 1960. He continued as owner/operator for 50 years until his retirement in 2010. During those years, Gene also hauled potatoes to chip plants and especially enjoyed those relationships he made. He held a good reputation for his driving skills and was known to be able to park a truck anywhere. Gene enjoyed life by hunting and fishing with his family and watching his family be involved with sports. After retiring, he spent many hours rebuilding a John Deere tractor. He attended the Union City Alliance Church and will be remembered as a devoted husband and father who supported his family in any way possible. In addition to his parents, Eugene was preceded in death by four brothers- Lewis, Jack, Frank, and Art Campbell; and a sister, Ann Mickle. Family survivors include his wife, Claudia L. Stone Campbell; six children- Lawrence Campbell of Waterford, Lorraine Campbell of Mill Village, Woodrow Campbell and wife Darlene of Erie, Wynita Campbell of Mill Village, Gwendolyn Campbell of Mill Village, and Rachel Yomes and husband David of Ft. Belvoir, VA; also, 24 grandchildren and 24 great-grandchildren. His siblings include- Marie Helmbreck, Jenny Echols, and Lawrence, Paul R. “Buster” (Bev), Bob, George, Bill, and Jerry Campbell. 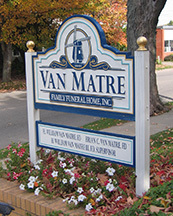 Friends may call at Van Matre Funeral Home, 105 Walnut Street, Waterford on Friday, from 2-4 and 7-9 p.m. Funeral services will be held there Saturday morning at 10:00 a.m. officiated by Rev. Tom Hunsberger and Rev. Doug Stone. Burial will be in Mitchell Cemetery. Memorials may be made to the Marquette Hospice House, Hospice of Crawford County, 464 Pine Street, Meadville, PA 16335. The whole Clay Anderson family wish to extend our sincere sympathy to your family with the loss of Gene. My husband worked for him for several years and we got to know your family quite well and appreciated Gene so much. He was a wonderful person, boss and especially friend to my husband and all of our family. He will be missed more than you can imagine. He was always there with that slow smile and listening attitude. May Your Heavenly Father be with your family to guide strengthen and keep you at this sad time. It was very special to be invited to officiate at that 1957 wedding shortly before going to Africa with the Africa Inland Mission. May you who grieve know the comforting presence of our Lord. Duane and I grew up with you kids and you were our dear friends growing up. We are so sorry for your loss. Miss the days of group softball and the fun we had in Mill Village. Our thoughts and prayers are with you and your dear Mom Claudia. Much love to you all!! I miss you, Grampa! I miss hearing your voice when I call the house and I miss your smile. Thank you for being in my life and for everything you taught me. I love you. Claudia, I pray for GOD’s peace and comforst for you and your family. So sorry for your loss gene was a wonderful person n loved him like a father may God wrap his loving arms around you and help you get through this difficult time! Much love to you all !